Mysteries of Life: Would I be guilty of Dibs? So our house comes with a drive way, apparently a rarity for SFH in the city. When we get heavy snowfall, people have taken to parking on the street in front of my driveway. 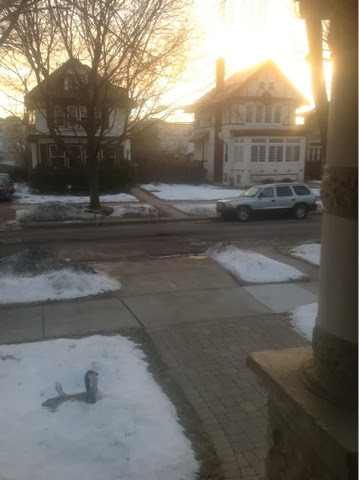 It was a mild winter the year we moved in so it wasn't a noticeable occurrence, but with last year's Polar Vortex and the large amount of snowfall we experienced, there were several times when someone parked in front of our driveway. Since the city doesn't plow alleys, it is hard to get out of my garage from the back (I have garage doors on both sides, I know, another perk of the 1%). I can handle that, but I can foresee a situation were my wife or I are late for work and someone has double parked there while they run inside. Yes it would likely only be for a few minutes but do I have to endure this because my neighbor is lazy or obstinate? if I put something to block the driveway, am I guilty of Dibs? "Like" and "Share" this post using those buttons under the headline.